2014 was a momentous year. Perhaps the easiest way to describe this year is in two parts, BCE (Before Charlotte's Era) and CE (Charlotte's Era). During the first part of the year (BCE), we continued teaching the attending students from Norwalk Community College, invited guest instructors, and attended a few select events. This time was also marked by visits with friends and family, and a wonderful baby-shower which was attended by many of the women of our dance community. The second part of the year (CE) was about keeping dance moving forward during the summer months, more guest instructors, dance events without Anna, the introduction of Charlotte to our dance community, the closing of the Platinum Party, the last class at 3 Quincy Street, and our 3rd Dancing New Year's Eve CT.
Dance has been an important part of the journey through 2014...but teaching and dancing with Charlotte on my chest, watching her face when we choreograph, and having her watch her daddy simultaneously win 1st and 3rd places in an All-Star Jack and Jill has set the bar very high for years to come. 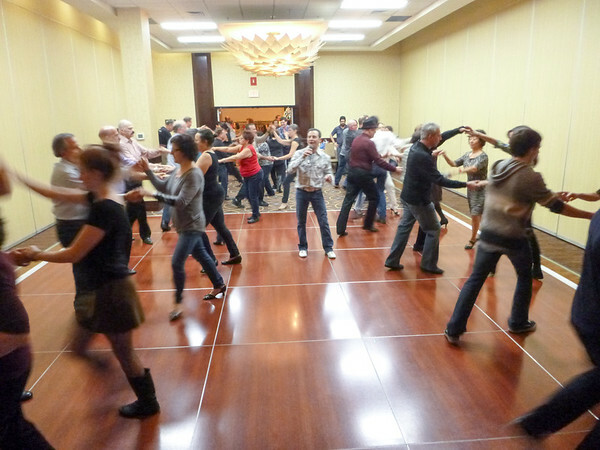 January started with over 50 people in our West Coast Swing classes. Many new people and regulars came to fulfill their New Year's resolutions. Of course, not everyone continues what they start, but a couple of students did very well this year - congratulations Shantryce Essilfie (2nd Place Newcomer Jack & Jill at Swingin Into Spring) and Amy Garcia (2nd Place Newcomer Jack & Jill at Vermont Swing Dance Championships)! Sometimes it's important for students to hear the same information a different way or to be exposed different styles of movement. I enjoyed watching students attend workshops from our guest instructors this year. Jes Ann Nail and Derrick came in February. Stephen White and Sonya White came in June. Rob Glover came in September. Jerome and Bonnie Subey came in October. We make sure everyone feels welcome from our community when we go to a dance event. Want to be a part of our group? All you have to do is join. For many this is home base in a sea of new faces, for others, it's a place to show solidarity with the teacher and students who guided you in your first dance steps. In November of 2013, Anna announced that she was pregnant, however Anna was barely showing and if you didn't know her, you'd hardly know that our lives were about to change. But in 2014, Anna started really showing - but we kept right on dancing. Anna attended every event up to the 38th week - we even did a Hustle demo 2 weeks before her due date. 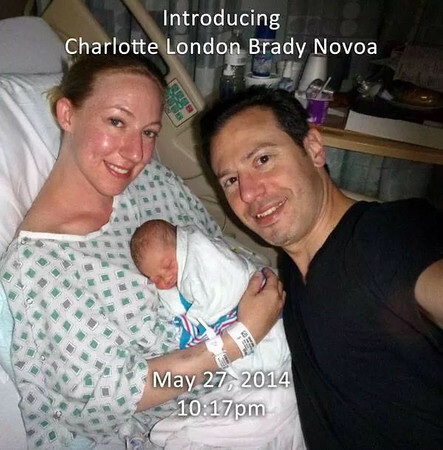 On May 27, 2014, Charlotte was born...not only a Gemini like her father, but a New Yorker too. We're guessing that all the dancing in utero made her appreciate music and movement from the start. From her earliest days, she liked certain songs that were popular when she was developing and would even fall asleep sooner if those songs were played. 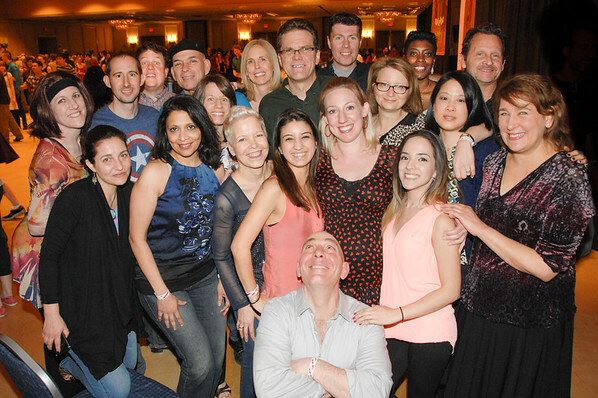 We are extremely thankful to the dance community that was so generous for Anna's baby-shower and since. We felt very loved and cared for. We introduced Charlotte to master ballet teacher Kat Wildish. We feel the audition went well. 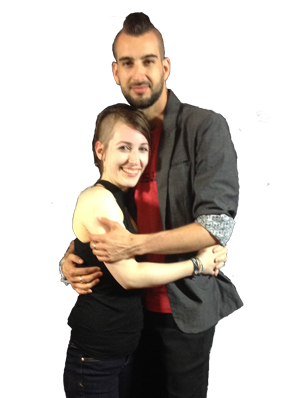 We brought Charlotte to her first dance West Coast Swing class on August 28, 2014. We didn't know quite what to expect. But it seems that Charlotte was naturally accepting of music and watching people dance. 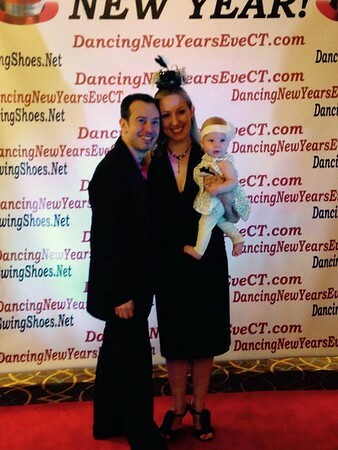 Charlotte attended her first dance event, Swingin New England. 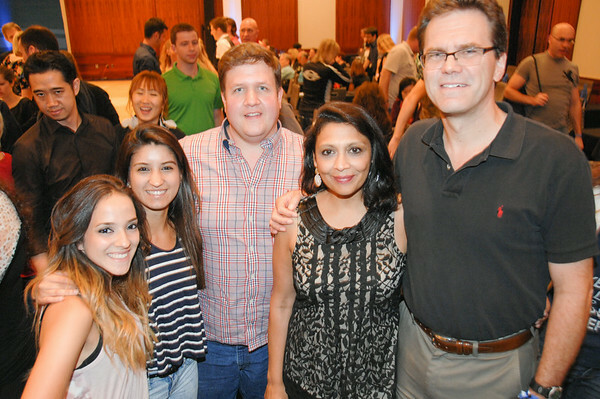 We felt it was important to introduce her at one of the friendliest dance events in the Northeast. 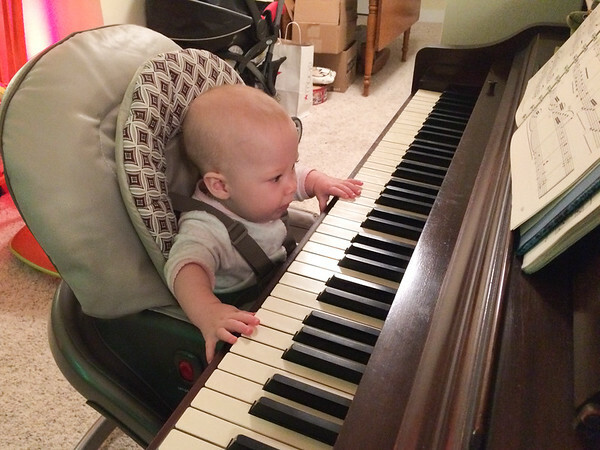 We make sure that Charlotte gets her musical fill. Understanding music always makes a better dancer (and is linked to increased cognitive development). Charlotte has made 2014 an awesome year. Being able to expose our child to our love of music and dance is a very fulfilling experience. It rejuvenates the desire to teach, it heightens a sense of patience and kindness, and it deepens the sense of urgency - that being a guide is ephemeral and extremely important. And of course there were some changes. We hosted the last Platinum Party in New York City on December 19, 2014. The party had run monthly for 9 years with over 100 parties. It was the location where I met Anna - that's right, she walked right into one of my parties. That party changed my life and I am forever thankful that it had a wonderful run. New York City has been inundated with new parties. Unfortunately most people want the prestige of being the host but not the responsibility of building the community. New York City should be the largest West Coast Swing scene on planet Earth, but it's not - I hope it fixes that problem. 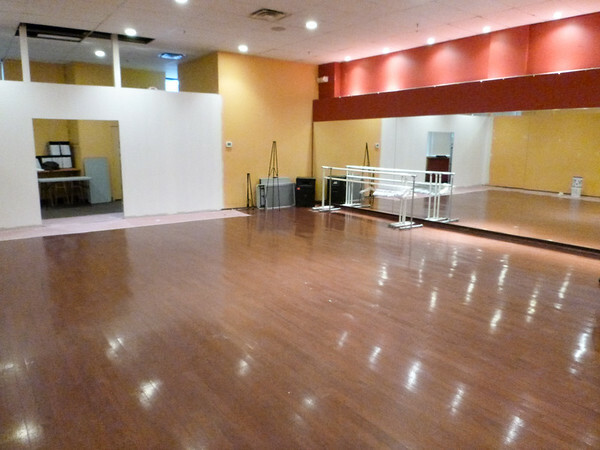 Dance Dimensions - our regular home in Norwalk, CT has moved. At first I thought the owner was going to tell me that they were closing. You can imagine my elation when I was told that they were moving and invited to me to join them. The best part...the studio is in a more prominent and visible location and the studio is larger and column-free. 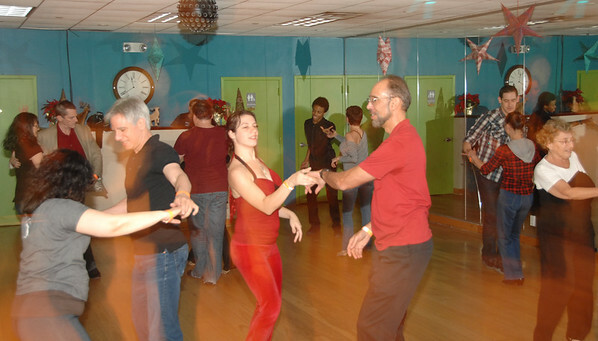 The first classes are the first week of January (Jan 5-8) at 15 Cross Street in Norwalk, CT. It's going to be a great start to 2015. 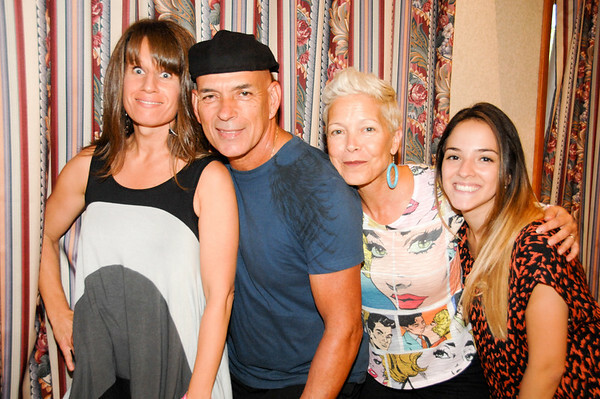 The first time we hosted Dancing New Year's Eve CT in 2012, we felt we got lucky. When we hosted the event in 2013, it was just to see if we could do it again. But this year, we knew it had to be big. And big it was! Dancing New Year's Eve CT was the best dance party in the state of Connecticut. 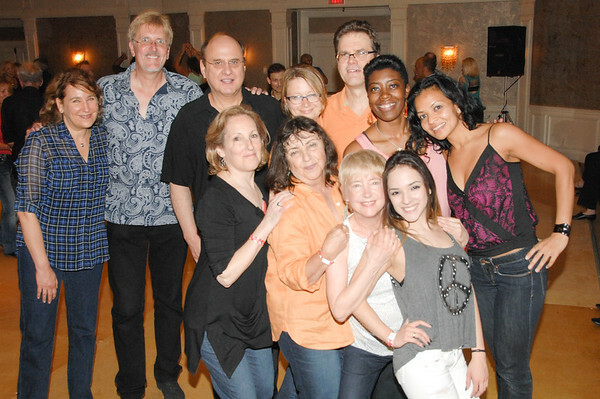 The event had over 230 attendees of professional dancers and newcomers alike. 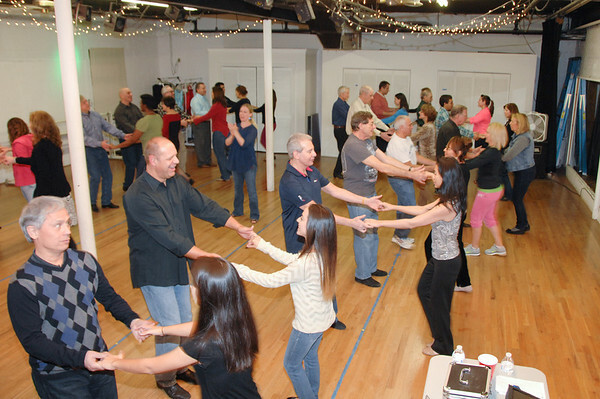 Our beginner lessons in Salsa, Hustle, West Coast Swing were packed and enabled attendees to interact with each other before the dinner and party. The dinner, which required pre-registration, was sold out by Christmas Day. And the party was non-stop from 10pm until 2am - complete with open bar, Champagne toast, confetti cannons, lighting effects, perfect dance floor, top DJs, and even a marriage proposal. We had a fantastic 2014...Welcome to 2015!